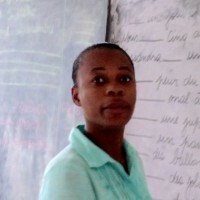 Project One Haiti started after a visit to Haiti in August 2011. 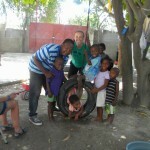 We had been to Haiti several times after the earthquake but this was our first time to visit the Odascot Orphanage. After seeing the children in such great need and the three women who were caring for them in such a state of exhaustion, we knew we had to do something to help them. We came home and prayed and spent time with God about the situation there. 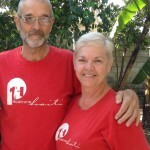 My husband, Chris Jeffers and I started Project One Haiti. We returned to Odascot every two months for a period of time. We built a roof-top garden. However, we reached a point where we were not seeing progress and moved on to another project. 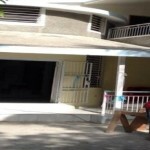 We worked with Agape Orphanage in Carrefour for a couple of years adding on to their building and helping with several projects they had going on. We moved to Tabarre in July of 2014. There were a few compelling reasons, but the main reason was in order to get into a larger facility and closer to an already existing support structure. We moved into our new house and immediately we saw an improvement in our children’s comfort and we have been able to stabilize our ministry focus. It is about this time we decided to both become fully involved here and moved. But most importantly, we saw the hopelessness in the eyes of these dear people that comes from not knowing the living Hope. We brought them gifts and items but we still need to teach them that all good things come from God. We need to bring them Jesus. We need to give them the living water. We need to give them the bread of Life. We need to give them the meat of the Word. 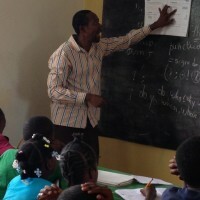 We have since started a school and have approximately 200 children in school. 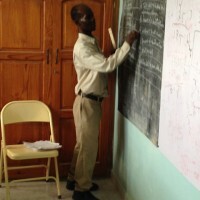 We are reaching both the educational and spiritual need on these children on a daily basis. There is a lot to be done. The only way to do all these things is to be on the ground in Haiti and to wrap our arms around these people with the love of Christ. Come go with us. Come see Jesus working in the lives of these children and their caregivers. Come see Jesus working in your life.